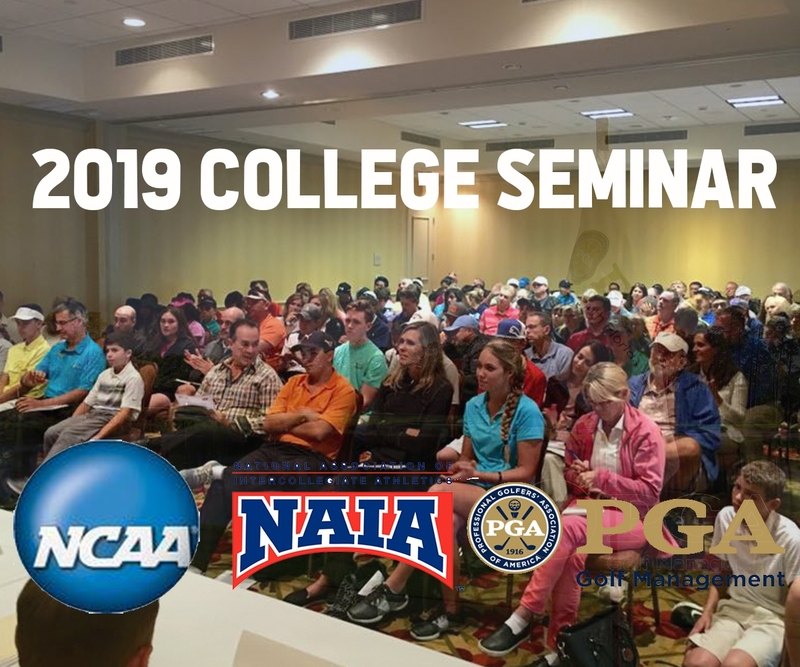 January 4th 2019 - The 2019 South Florida PGA College Golf Seminar is approaching quickly and we would like to see everyone there! The South Florida PGA is committed to helping Juniors prepare for and reach the next level in their careers. This FREE seminar is designed to provide valuable information to Junior Golfers and parents about what it is like and what it takes to reach the next level for athletics and education. Topics of discussion at the seminar include: the PGA Golf Management Program, NCAA, NAIA and JUCO rules and regulations, communication with coaches, the recruitment process, resumes and videos, official and unofficial visits to schools, and personal perspectives and experience from a current student, student-athlete, and parent of a student-athlete. This seminar will include: coaches from NCAA, NAIA, and JUCO schools, FGCU Golf Management Program Director, a current Golf Management Program student, a student-athlete, and the parent of a former student-athlete whose son is currently on the PGA Tour with 3 major titles. If you are looking to reach the next level and have questions about how to get there, this seminar will be able to answer all the questions you may have! Again, this is a FREE seminar so do not miss this opportunity to gain exceptional information! The Seminar is on Tuesday January 15th at Boca Lago Country Club from 6:00-8:00 PM.